Thanks to Suzanne for asking me to write a post on my recent walk for Sightseeingshoes. 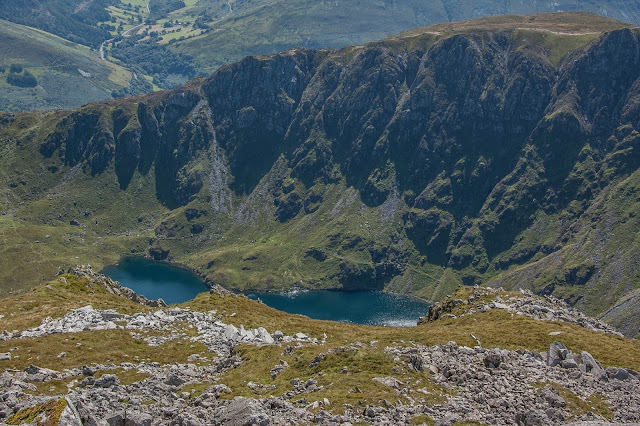 This is mainly because she doesn't really like hillwalking and couldn't write about it herself, but Cadair Idris is really too spectacular not to merit its own post. I was really lucky to have chosen a glorious day for walking and the weather forecast down here has just as much predictive value as China's stock market! (at the time of writing.) However, serious walkers shouldn't let the weather stop them in their tracks. As with any walk that I'm not familiar with I refer to a 1:50K scale Ordnance Survey map and on this occasion I decided to download the app on my iPhone. The app itself is free, but you can purchase 'tiles' or 'regions' depending on your needs. 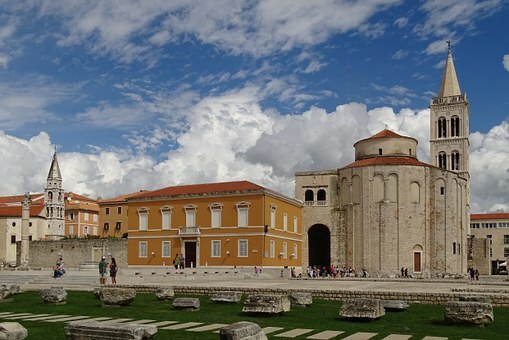 The app is brilliant and incorporates a GPS location service along with a compass. I could also annotate my planned journey on the actual map and save it. This is ideal in situations where walks don't have a clear path or, if you're like me, want to avoid the paths where the masses congregate. Baaah!! What are you looking at? I started my walk after being dropped off at the Co-op for my sandwiches before crossing the road and heading towards Dolgellau Hospital. I went past the hospital on my right and as the road climbed it split into two roads-I took the road on the right. I continued the ascent and I was met by a small waterfall on the right and a telephone box on the left. The road steadily got steeper until I reached Bwlch Coch where the tarmac ends. 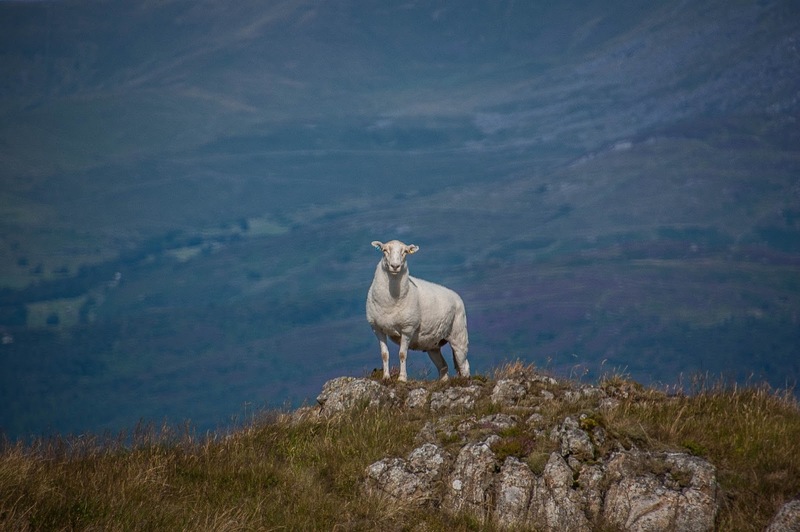 Through a gate, I walked up a rocky path and continued the climb towards Gau Graig. The path became less distinct as I ascended, but there was a wire fence all the way up and found that by keeping to the right of this would lead me up to this grassy plateau known as Gau Graig (684metres/2244ft). Looking east from the cliffs at Mynyyd Moel - Barmouth and Cardigan Bay in the distance, Llyn Gafr just above the left foot and the north face of Penygadair on the left with a small glimpse of Llyn y Gadair just below it. 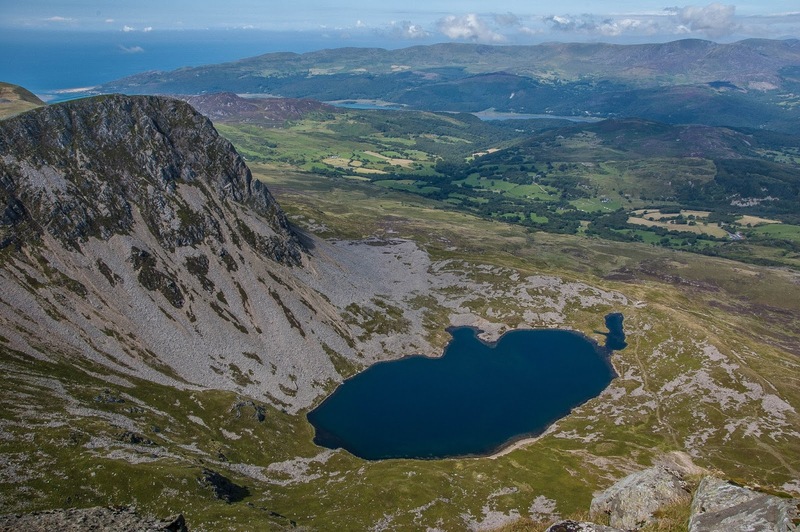 Penygadair is the reason why tourists climb Cadair Idris, and a lot of them come from the 'Pony Path' (north face approach). I met people and dogs of all ages who came up this path. People used to bring their ponies up this path, hence the name. 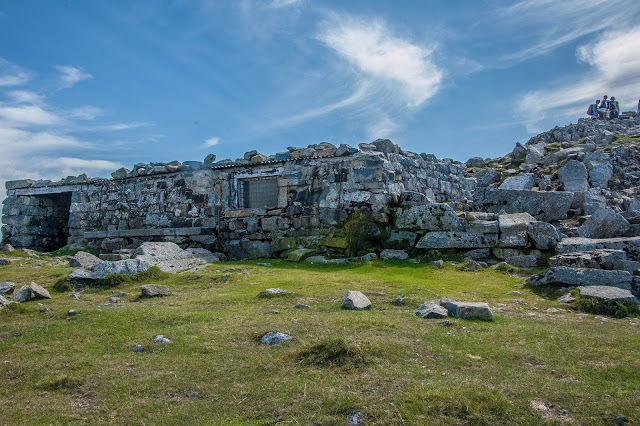 The summit is marked by a cairn and there is a sizeable stone built hut, which comes in handy should one encounter bad weather. From the summit, a short walk to the south gives you excellent views of Llyn Cau and to the north you will find Llyn y Gadair. 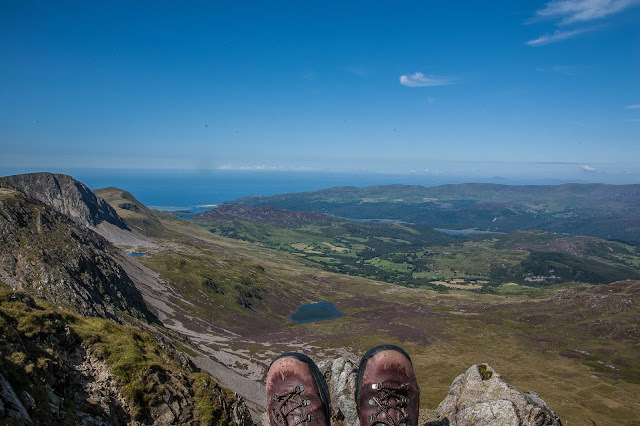 Luckily for me, there was barely a cloud in the sky, so views of Barmouth and Cardigan Bay could be seen from this summit. Llyn Cau viewed from Penygadair, looking south. Llyn y Gadair viewed from Penygadair, looking north. The stone built hut at Penygadair. After soaking up the fantastic views and finishing off my packed lunch, I headed east along the well marked 'Pony Path' and followed the path to Tynyceunant. 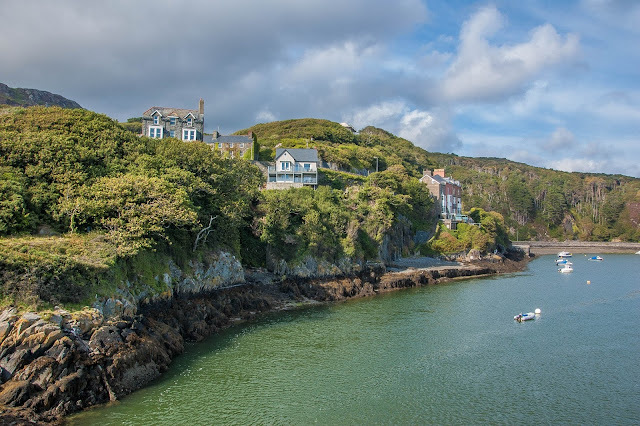 Rather than trying to head back to Dolgellau, I decided to walk to Barmouth via the Mawddach Trail, where I would then arrange my lift back home. The walk from Tynyceunant to Barmouth was comparatively easy and took me through some farms and stables. I came across Kings YHA, which has nice peaceful grounds to go camping, before going through Abergwynant Farm, which offers self-catering accommodation. 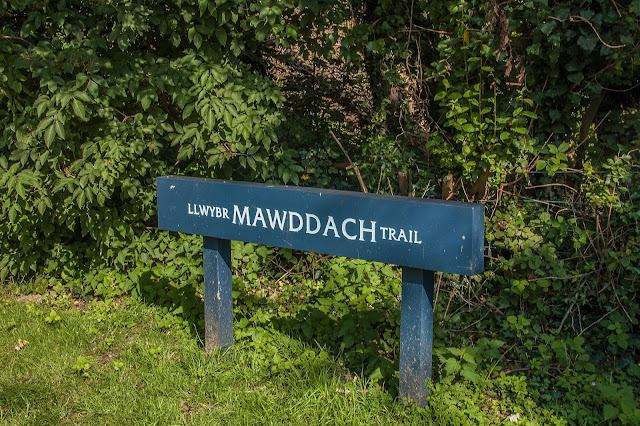 The Mawddach Trail is a beautiful 15Km/9mile multi-purpose path, which joins Barmouth to Dolgellau and can be joined at various points. 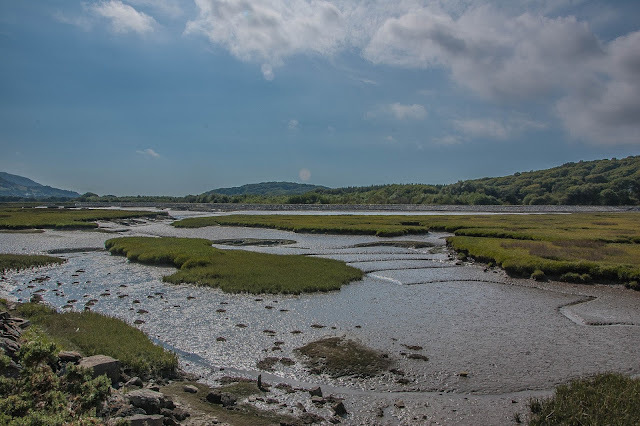 The River Mawddach lies just north of the track and has been designated a 'Site of Special Scientific Interest' and a 'Special Area of Conservation' because of the salt marsh and lowland peat habitats. 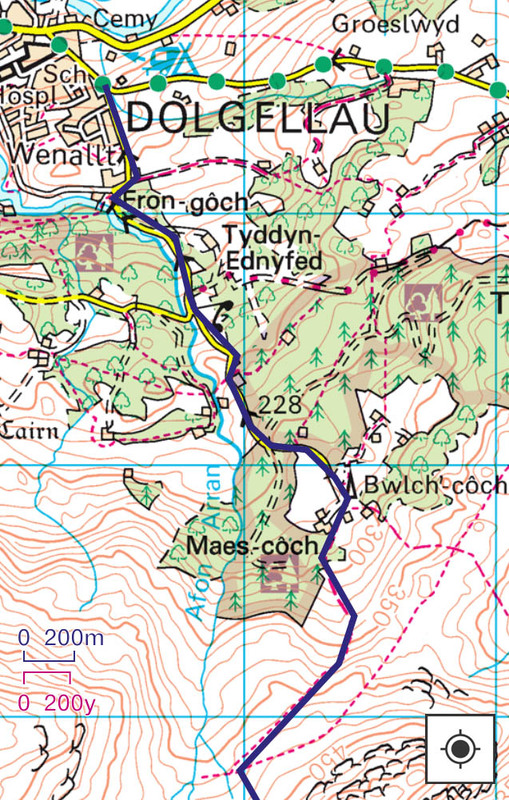 There are 2 RSPB reserves located at Taicynhaeaf and Arthog. Salt marsh just north of the path. The walk continued to Morfa Mawddach railway station, a station mostly used by travellers to Barmouth from the south of the estuary. The railway along with a pedestrian walkway crosses a bridge over the estuary (which can be seen from the summit of Cadair Idris on a clear day) into Barmouth. On my arrival to Barmouth, I rewarded myself with a big fat ice-cream whilst I waited on Suzanne to come and rescue my weary legs. 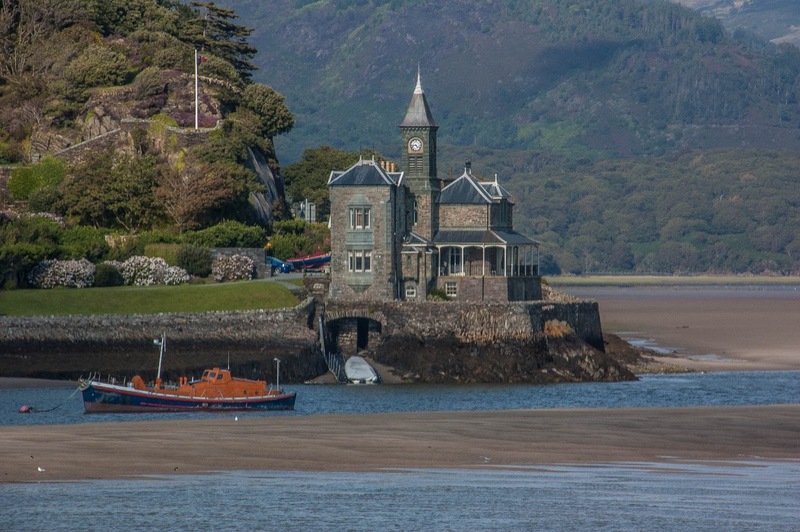 Barmouth Clock Tower viewed from Barmouth Bridge.